Trying to decorate your rented home or apartment without damaging the walls? We know the frustration that comes along with a “no screw or nail zone” when renting yet wanting to style your own home. Luckily, we have a few renting hacks up our sleeves! Read on for our top five decorating hacks for renters that will help you decorate your home without leaving a single mark on the wall! 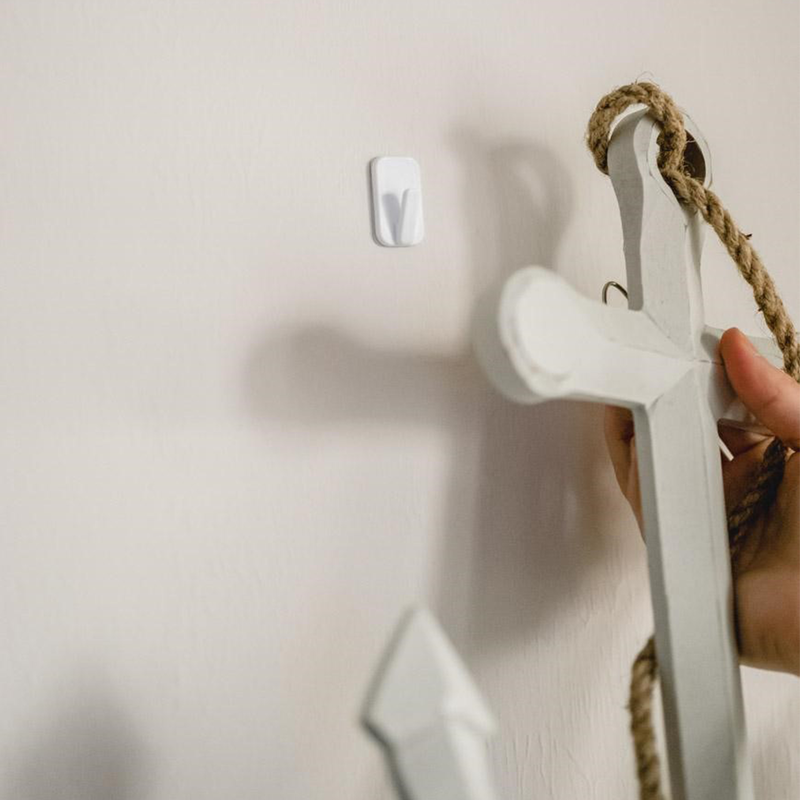 If you’re decorating a rented apartment, make adhesive hooks your new best friend! They’re extremely handy when it comes to organizing and decorating without damaging the walls. Use them to hang kitchen utensils, bathroom towels, keys… The list of uses is endless! 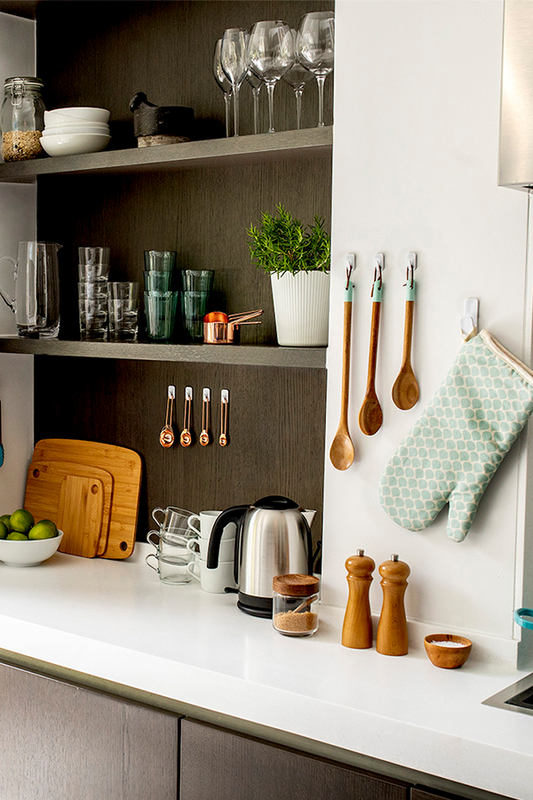 In fact, read our blog post on how to organize your whole home with adhesive hooks to discover all their clever uses. If you’re renting your house, putting nails in the walls to hang pictures is a big no-no. But that doesn’t mean you can’t decorate – just hang your pictures with these picture hanging strips instead. This clever decorating idea for renters will spare your walls from damage as picture hanging strips peel easily off the wall when you’re ready to take the pictures down. They’re even strong enough to hold heavy frames and canvases. Mounting bathroom accessories can be a source of frustration when you’re decorating a rented property, but we have a hack for that! 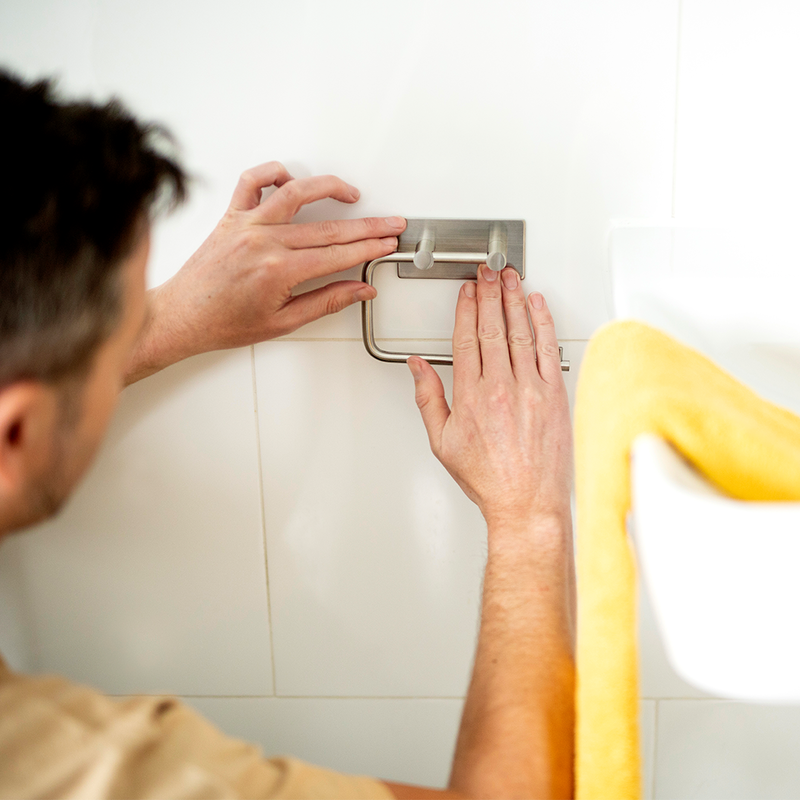 Swap nails and screws for FIX-PRO® Mounting Tape – it’s strong and super handy for sticking bathroom accessories to tiled walls with nails, screws or drilling. Plus, it’s much quicker! There’s no decorating problem that you can’t solve with an adhesive hook! In fact, they’re perfect for hanging decor in a rented house. VELCRO®Brand HANGables® Adhesive Hooks come in a range of sizes and peel off the wall without leaving any marks. Christmas can be a frustrating time for renters… You want to hang festive decor but your landlord won’t let you put holes in the walls. Don’t let that stop you! You can hang wreaths, garlands, lights and other Christmas decorations with VELCRO®Brand HANGables® Adhesive Hooks instead.